Our team of experienced professionals has been installing durable stone surfaces for kitchens and bathrooms since 2006. Our goal is to provide our customers with high-grade products and the outstanding service they deserve at the most competitive prices. We offer a wide selection of top-quality stone materials to suit any customer’s needs. RID Stone specializes in granite, marble, slate, travertine, limestone, onyx, quartz and glass for residential, commercial and industrial applications. Remember that you are not spending money, but making a good investment in your property – kitchen or bathroom. That is a wise investment because natural stone products like Granite are very durable. They have a hard surface, are scratch resistant and heat resistant so you don’t have to replace them for a long time. RID Stone, Inc. experts are the most professional and experienced fabricators/installers in the Chicagoland Area. We have the best quality products with a wide selection to meet every customer’s needs. We carry a lot more than you see on our website. Also, you can’t get much “greener” than RID Stone. Most of all our tiles and countertop materials are “down to earth.” You have found the highest grade materials and services for the lowest price in North America! RID Stone specializes in granite, marble, slate, travertine, quartz, glass, and more products for residential, commercial, and industrial applications. 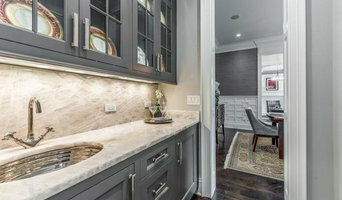 Owner, Mario Lemoncello has been in the business of fabrication, installation and restoration of counter tops for over 20 years and provides particular expertise in this area. Today, he continues to bring his expertise to both commercial and residential projects around the Chicagoland area and contributes to the popular show Kitchen Crashers on the Do It Yourself (DIY) Network. He is also the Chicagoland Stoneguard Applicator. A stone surface protection film that is guaranteed a 15 year performance from chemicals etching into the stone surface while being protected by Stoneguard. *Authorized Mohawk Dealer* Established in 1992, Best Buy Carpet & Granite all started with Herb Martinez selling carpet out of the back of his van which has flourished into one of the leading home improvement companies for the Naperville / Aurora area specializing in floor coverings, granite counters, custom cabinets and semi-custom cabinets. Highly experienced in carpet installation, we offer a variety of carpet styles inlcuding: Level Loop, Multi Level Loop, Berber, Velvet/Plush, Saxony, Frieze, Tip Sheared, Random Sheared, & Shag. Carpet isn't the only flooring we offer, we also install a wide range of Hard Wood, Tile, & Laminate Flooring. In addition to flooring, we also specialize in granite countertops with a full spectrum of colors and and a number of edge profiles including: Square, Thumbnail, Bevel, Half Bullnose, Full Bullnose, and Ogee. Flooring & countertops are not the only home improvements we offer. We also install both custom & semi-custom cabinetry, enabling you to make Best Buy Carpet & Granite your one stop for all your home project needs. Additionally, we offer financing year round, and all our products come with a lifetime installation guarantee. Fabrication, Installation and Service of Granite, Marble, Quartz, Silestone & Onyx products. Chicago Stone Source & Remodeling LLC. Chicago Stone Source & Remodeling is a natural stone fabricator and installation company that prides itself on its service and quality. We have over 25 years combined industry experience. As experts in our field, we work with designers, contractors and homeowners. CSS is dedicated to providing the highest level of customer service in addition to a superior product, we take pride in our work and customize each project to suit your lifestyle and ideas. We aspired to create a workplace where talented individuals collaborate to deliver extraordinary results to our customers and business partners. We believe that the best way to build and to maintain trust is to conduct every element of our business according to the highest standards of integrity. The goal to meet or exceed our customers’ expectations has always been embedded in our core values and we are pleased to state that it still is the cornerstone of our existence. 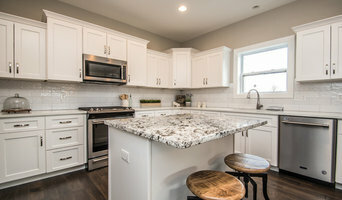 Granite Best Price is a local family-owned and operated business in Addison, IL. We buy select varieties of granite in large quantities and stock them locally. This allows us to offer the luxury of real, natural granite counter-tops at competitive prices. Our mission is to provide our customers with a boutique experience ensuring personal attention and the highest quality in materials available. We are able to provide master fabrication and installation of granite countertops, bathroom vanities, shower surrounds, and wall features. Visit our showroom and find out the quality of materials ready in stock for cutting. We also offer most major brands of quartz products such as Msi, Next stone, Caesarstone, and Cambria. We have over 15 years of experience in granite business and fabrication, providing great service, quality, and value to the Chicagoland area. With a large selection of granite to choose from, we are able to provide our clients with better choices with affordable prices, as well as better customer service and high-quality products.